This is the first of two year-in-review posts. Tomorrow I'll do a more "here's what happened" thing, if only for my own memory, which is notoriously short. Another reason to write a blog...plus it's all right there, for everyone to see and hate you for! You know what's different about Tucson from Brooklyn? Just about everything. And yet, one thing remains irrefutably universal - everybody loves the Trader Joe's here too. Can't get enough of it, or stop talking about it. Same as Brooklyn. As in "have you tried the Trader Joe's olive paste? It's incredible, and so reasonable." But the differences are truly striking, and not just that there ain't no shade anywhere, being as trees don't grow here, just cacti. This Tucson is a truly southwestern town. It's 180 degrees but just 100 miles from Phoenix, which I have nothing but meh to say for. Tucson is cool. And it's pretty much a half-Mexican town. Well, originally ALL Mexican if you want to take the long view. Mexicans give Tucson its character, its food, its life. Cuz there are a heck of a lot of retirees here from, you know, the Midwest and Canada and the like. Folks end up here, don't really move away. Funeral homes do a good business. Thrift stores too, if you get my drift. Drifters too. It's a college town as well, big State school, but that doesn't define it. Did I mention the food is insane? Not everything's a chain (yet) and the people are genuinely in love with their hometown and its spicy flavors. I'm glad my folks ended up here, because Iowa was brutally cold and brutally hot/humid in equal measures. And who needs trees when you got millions of Saguaro cacti and a bevy of air conditioning? And a hat? Nice move ma and pa. Not a bad place to visit either. Tucson is dealing with slower motion change than Brooklyn, a reasonable speed that gives people and planners time to make conscious decisions about growth. Displacement happens, though there's a great deal of space for people to spread out to, and everyone needs a car, so it's not so crucial to be right next to the train, say. And the spread between haves and have-nots isn't so steep. On the affordability index, a median house costs roughly 2 1/2 times median income. Actually, this is true across most of the country, outside of the more compact and most desirable spots for high-earners. New York City. San Francisco. Silicon Valley. Huge swaths of California actually. Seattle. Boston. The historical multiplier, I have read, is 2.6. (In "Renaissance" Brooklyn, of course, that's a laugh and a half. We've now become, were we our own City, the least affordable town in America.) For the aforementioned highly desirable places, "high-earner" isn't the real measure of who's buying these ungodly expensive homes. It's net worth, parental aid, AND earnings. Talking to folks about the difference has become a bad habit of mine, because few people want to note how they managed the down-payment. Often it's from selling a previous property, but that's doesn't tell the story of how they got THAT property in the first place. So why do I call this a "race" to the bottom? You guessed it. I want to write about race again. Race and housing, and who can afford to live here and who can't, and why that's so upsetting to so many people who've experienced the differences first hand. I keep trying to spin the tired gentrification yarn into a new sweater, because I really think there's something here that most folks don't seem to get, and I'm only starting to get. You know, the root problem, not just the surface stuff about lattes and rents. So, like I was saying, this was the year of a conceptual breakthrough for me. Why the enormous difference? Easy. Since this is median household wealth, and less than 50% of Black and Hispanic households own their own home, the majority of those households don't have the single piece of the American Dream that has real power to set a family up for life - "real property." And without real property ownership, most Americans wouldn't have as much to leave to their progeny. And such inheritance, as anyone with eyes and ears and love for gossip can tell you, is a MAJOR factor in determining your ability to own a home TODAY. How many downpayments on first houses are purely from hard-earned savings? Those young coop and condo buyers in NYC got out of college debt-free and with more than $100,000 from, uh, their work-study jobs? I don't want to poke fun, because frankly it's as American as Apple Stock to have your folks lend a hand for school and first cars and houses. Granted plenty of folks DON'T get that leg up, but enough do to make a huge dent in real estate prices. Add to that the fact that the greatest transfer of wealth from one generation to the next is taking place as I write this (the Boom-Boom-Boomers who made a killing in the market and on houses) and you can probably see where my logic's leading. To the same chart as above, over and over and over again. Only the white bar is likely to keep increasing at a faster rate. That's the big story, in my view, in all this hemming and hawing about gentrification. Not, as I've reiterated time and again, the honest transfer of deed from one owner to the next. But rather the ugly underbelly - racial wealth. Oh, and commercial desirability, from hair to real estate, remains the domain of the dominant culture. Caucasian culture. Put those together and segregation has all the gravy it needs for a festive feast. Today. It's not history til it's over. Folks, I know it don't bear too much repeating, but we never ended segregation in this country. We just switched it to the realm of real estate. De facto, rather than de jure. Or put more clearly - racism begets racism, just as privilege begets privilege. That's what's wrong with gentrification, and there's nothing built into our capitalist system to counterbalance - a few government programs of course. You're no more to blame than me or anyone who helps perpetuate a system designed to benefit whites over blacks. We participate, partake, drink from the well. Blame assumes knowledge. Guilt assumes understanding. To extend the metaphor, there are two wells. And like in the segregation of yore, one is for whites and one is for blacks. We've made almost no progress, by nearly every measure. Seen how many black kids get into Stuyvesant High School? I rest my case. Where's the outrage? Certainly not coming from the "liberal" Democrats we send into office. Or from us. It IS making its way into the consciousness of the current Civil Rights struggle. And make no mistake, that's what we're seeing. Forget the specifics of the case in Ferguson or Staten Island, or what happened in Florida, or Kimani Gray last year. (Guess what? It looks like they DID plant the gun. If your white you probably assume the cops told the truth. If you're black, you instinctively knew it was suicide to point a gun at a cop, and that the kid wasn't suicidal. It was just as obvious as the nose on one's face. How can we whites be so stupid?) This is big stuff, in the Q's view. And how we respond as the dominant culture will be treated harshly or generously by history. The choice is ours. 150 years after emancipation, and 60 years after the dawn of a great Civil Rights movement, 45 years after MLK's death, 22 years after the post-Rodney King-Verdict civil unrest in L.A., and six years after the election of the first president born to a father of undeniable African heritage, we are living in a nation that has managed to move the ball from the 20 to the 29. Punt or go for it? The way that we segregate ourselves is such a key component of the ongoing cycle that leads one generation of African-Americans to the next to progress so slowly. The below incriminating chart shows how little progress we've made towards economic integration. 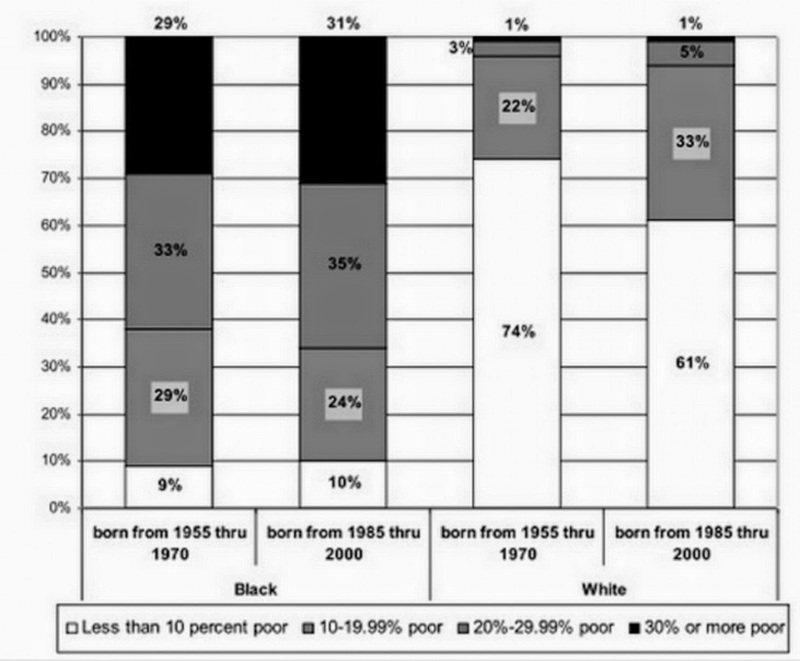 Bars one and three shows your likelihood to live in a poorer neighborhood in one generation, then bars two and four for the next generation. And poor, remember, is REALLY poor. The poverty line ain't no joke. Look, I'm no sociologist. And my writing is mine, and woefully bereft of scientific analysis. But I'll tell you what...just as I wrote at the beginning of the year, long before the latest media blitz turned to the vast chasm between white and black experience of America, something very powerful is taking place. You don't often get to sense and see history being written, but folks I believe we are living in a moment where something has to give. Brooklyn is just one piece of this saga, but when I wrote "Bye Bye Black Brooklyn" near the beginning of 2014 I meant to say this is not your usual neighborhood gone upscale story. Brooklyn, for so long, WAS black in the public imagination and via stories, music, art, film. It stood for black (sorry Bensonhurst, Bay Ridge, Windsor Terrace etc - you weren't what the world thought of when one referenced Brooklyn). Along with Harlem and Oakland and the southside of Chicago, Brooklyn, in a sense, helped define black. And there are still hundreds of thousands of black folks living here, watching their story take an earthshaking detour before their eyes. This isn't a sounding of alarm. I don't mean to say invest in tear gas companies. I don't mean reconsider your move. I don't mean anything other than to meekly counterweight the emphasis out there on reporting on Brooklyn's "renaissance" as if it were bloodsport and conquest. This is a very human story, and I'd argue that the losers greatly outnumber the winners. Their stories are only beginning to be heard. And yes, black lives matter. Even if they're not shot down in cold blood in the streets. I read recently that "Occupy Wall Street" was a failure because blah blah blah...the writer launched into a litany of what was wrong with the movement's strategy. Strategy? Why the emphasis on strategy, and not on the movement's causes? It's not every day that your fellow Americans decide to camp out right in the center of world finance for a few months. It was the beginning, not the end. Awareness on campuses hasn't been this high since the anti-apartheid movement. There is a deep sense out there that fairness and decency have lost out to greed and an erosion of the American promise of equality of opportunity and equality of justice. We may well read in our histories that OWS was just the beginning of a renewed civil rights struggle. And as groups like the Crown Heights Tenants Union show us, the coalition doesn't have to be segregated. We can make a choice, to stand up for fairness and decency. This year the rent laws are up for renewal. We can tip the balance. We can save our City, one of the greatest human experiments of all time. The promise of NYC. The French even saw it. The French! It's all right there, at the base of our most famous island statue, a gift from the Frogs. They didn't put it in Tucson, or Topeka. They gave it to us. Our city. Our moment. The Q's neighbors are flipping out. 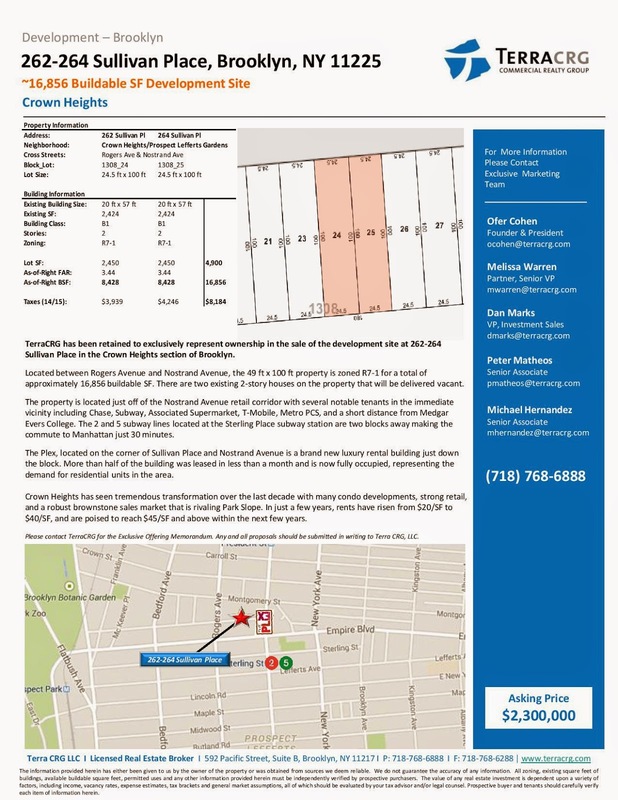 In Flatbush, Apt 3F at 41 Clarkson Ave., was bought in May for $202,800 and unloaded in September for $360,000. 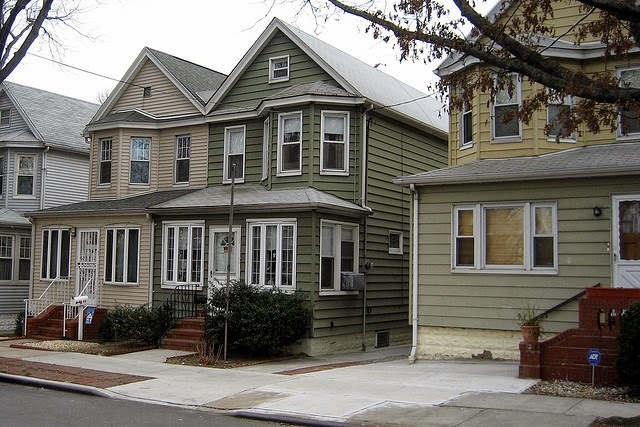 The 77.5 percent profit made it the second highest Brooklyn flip. It had been on the market for 33 days. And I didn't even have a chance to bring by a plate of cookies. I have a hunch that the reason for the enriching flip was that we put some planters out near the curb along Clarkson from Flatbush, spaced evenly to provide maximum effect. Despite a couple rounds of vandalism, I suspect that the apartment in question increased in value due to our floral capital improvements. I do believe I'm entitled to some of the profits? Those planters - hand-me-downs from a neighbor on Ocean - were damn heavy and barely fit into the elevator, but clearly were worth a hundred grand. Never, ever, ever, in my wildest imagination did I see this one coming. I thought the heavily Section 8 building would gradually turn from poor to middle. When the management told me they were going condo I laughed at John, whom I got to know through a serious of complaint calls, and wished him a facetious 'good luck.' 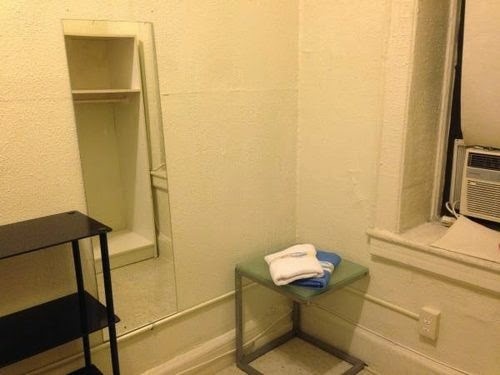 They warehoused the apartments long enough to sail through the conversion process, the economy assisted, and now the building is likely worth ten times what it was when I moved to the block 11 years ago. The gold rush is on. The speculators are back! Move over '49ers. The '15ers are here. Now it's complete. Flatbush, Bedford, Rogers, Nostrand all played host to a shooting in the span of just one week. Last night around midnight, a male was shot on Bedford near Hawthorne. Merry Christmas, Santa. Hope you're wearing a vest. Flatbush. Rogers. Nostrand. Throw in Lenox near Rogers and you've got a lot of gunplay in just one week. Enough to bring back memories of 2013. Related? Probably not. Except by proximity. Does it relate to the other horrible story dominating the headlines? Most definitely not. And yet, unease is easy to come by these days. Even the 71st Precinct is much bigger than our immediate vicinity of course. Most of the shootings this year have taken place east of here, and quite a few north of Eastern Parkway. One thing I will note - these nearby shootings are taking place outside because the shooters and victims are mobile at the time - it's not the house party stuff that seemed so common last year. Both shooters and victims may not live around here. Some, like shootings in cars or dollar vans take on a mystery quality - almost cinematic - while others seem like kids with a beef, working it with lead rather than fisticuffs. The 71st has seen an uptick in shootings - this rash will certainly see us top last years numbers. As they like to say the figures are historically very low...but that matters not when you live round the corner from the sound of gunfire. There's no questioning the numbers - shootings are up around 5% over last year. It's the shooting numbers and the Felony Assaults that I pay most attention to - and rapes and murders of course whenever there's a spike. Other crimes seem almost faddish in their ups and downs. The iPhone theft craze seems to have dissipated as the phones become cheaper and less easy to turn to cash. Thus robberies have plummeted. Autos of certain makes and models become suddenly easy to convert to green, or easy to hotwire. Does it feel like something new is going on? Personally I can't tell yet, and I look to Vinnie Martinos and Inspector Fitzgibbon for clues as to what's going on here and whether there's something, anything, that can be done in the short term other than - get some bodies out there. And you can rest assured I'll put in a good word on that count. You can always email Vinnie and add your voice! Two groups of males had an argument with each other. It looks like one from each group started shooting at each other and a 40 year old female was hit in the shoulder. She is in stable condition. We are trying to enhance some video footage from the scene that may have caught it. In the middle of the day, yesterday around 4pm, gunfire rings out on the Flabenue. Clearly some kind of beef is getting mighty serious that people pull weapons on a sunny Thursday afternoon. 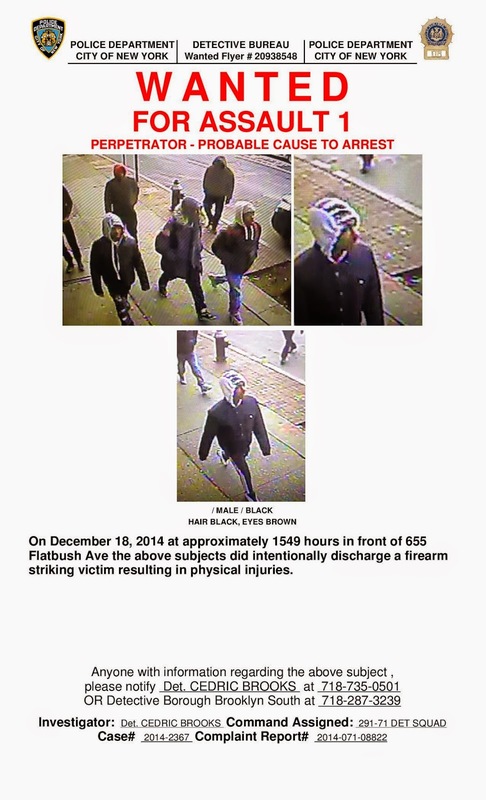 The internets say four perps shot a woman, but I'm waiting for confirmation from the 71st to say for certain. It's not related of course, but have you been following the story of Bobby Shmurda and his run-in with the cops? The accusations against him are pretty intense. I assumed when I saw his "shmoney dance" video that it was pretty harmless but annoying gangsta stuff, but Bratton seems to think there's nothing "video game" about it. I bring it up because this sort of run around shoot 'em up stuff is definitely too video-esque for safety. You wanna kill someone out in the open? Who does that? Someone who watched Scarface too many times, and thinks they'll live forever. In other words...your average teenager with too much time and too little hope. I'm not going to embed the Shmurda video here, if you haven't seen it, click through. And I trust if you watch it you have the good sense to place it in historical, political and musical context. I don't mean to glorify or vilify...but the way these young neighbors (E. Flatbush mostly) are basically baiting the cops (Bratton & co. obviously took the bait because they're nailing Shmurda for a massive gun and gang ring) reminds me of NWA back in the early '90s. The video's bravado and lyrics and smoking and drinking read "come and get me pig!" Punk rock was nursery rhymes comparatively. Intense stuff, not for the wee ones. And then there's that silly Shmoney Dance part of it, which is just plain wiggy. Cartoons, automatic weapons, goofy dancing. A sociologist's doctoral thesis in the making. Is it early '90s all over again? Makes you wonder. Mamary Bounces; LPT to Move? Jim Mamary is closing Lincoln Park Tavern. Well, as I've said here before, that's the plan. Landlord Rong Ge wants serious coin, and now that Mamary has Bluebird Cafe up and running, he's probably willing to ride month to month til Rong locks the doors. He recently re-upped his liquor license, so perhaps there's an extension or two in play for the (tentative) Feb 1 sayonara. 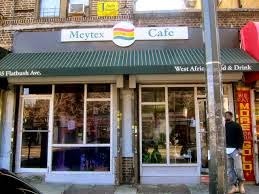 Enter the ghost of Meytex, one of the only real Ghanaian Chop Bars in town. Since closing earlier this year, I'll bet you've wondered what will take its place. What if I told you, on very good authority, that Mamary has leased the place and will be moving his operation over there? If the fight with Rong is finally winding down, perhaps the longtime restauranteur will finally find the right mix of businesses for his Leffertsonian strategy. A notorious tinkerer, Mamary is always looking for the perfect mix of zeitgeist and comfort. Perhaps at 545 Flatbush Avenue, he'll hit the sweetspot. Au Revoir Meytex. Remember that time the SUV backed into the windows? 115 Ocean Goes for a Boatload: What's Next? An eagle-eyed reader noted the sale of 115 Ocean in The Real Deal, and while the sale of a big apartment building is hardly news in these heady times, the price paid is a real eye-popper - $26 million. You coulda bought a building like this a decade ago at $5 million or even less. 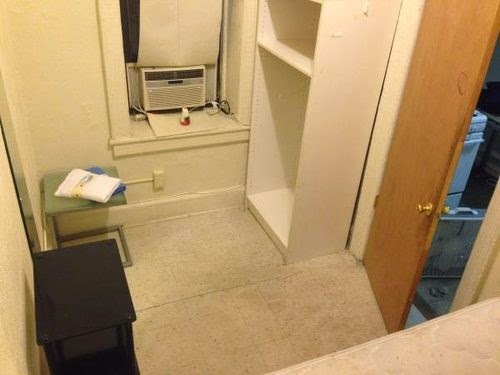 Especially one like this, called the "worst in the City" due to violations like roaches and mold and peeling paint. The apartments are all stabilized of course. So stick with me here. At that price, each apartment is worth nearly $300K. If you bought this building, wouldn't you want to take it coop/condo eventually? Even if you got market rate of (say) $2,500 per apartment, at 89 apartments, that's about $2.67 million a year. Strangely close to a 10% return. But then you got lots of money going into renovations and upkeep. Can you clear 5% at those market prices? I suppose so. Now, I don't know the first thing about running a 90 unit apartment building. But something tells me you gotta up the rent substantially from its current rent-stabilized state. Maybe you buy everyone out and sell the units? How do you do that without being accused of "warehousing?" I'm being serious here. How do you DO this without being a d-i-c-k? 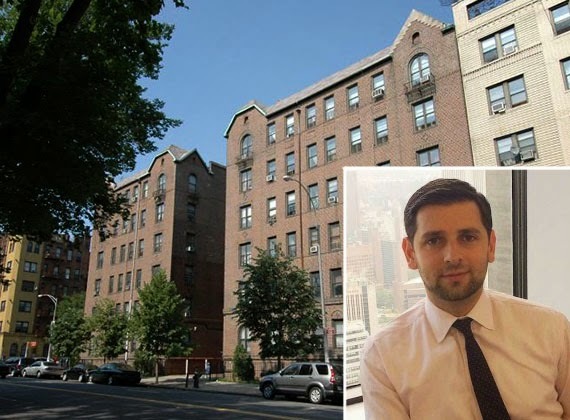 A 87,000-square-foot multifamily building in the heart of Prospect Lefferts Garden traded for $25.7 million, The Real Deal has learned. Owner Lincoln Prospect Associates sold the building in an off-market deal to a local investor. Lincoln bought the 89-unit building in 2010 for $9.8 million, property records show. GFI Realty’s Erik Yankelovich was the sole broker on the off-market transaction. The unnamed buyer is a local family “that has been investing in Brooklyn for multiple years,” the broker said. The apartments in the building are all rent stabilized. In February, the city reportedly named the building the borough’s worst building, due to violations that included peeling lead paint, mold and roaches. According to the most recent records on the Department of Buildings’ website, there are currently 12 open violations on the building, a dramatic decrease from the hundreds of open violations that were reported earlier in the year. The $25.7 million sale price works out to $290,000 per apartment or $295 per square foot. The price for the building is one of the highest in the area, said Yankelovich. With a lot of money coming into the area and a lack of supply in multifamily buildings, he said, more properties in the neighborhood will likely be sold for similarly high prices. A 87,000-square-foot multifamily building in the heart of Prospect Lefferts Garden traded for $25.7 million, The Real Deal has learned. GFI Realty’s Erik Yankelovich was the sole broker on the off-market transaction. The unnamed buyer is a local family “that has been investing in Brooklyn for multiple years,” the broker said. The apartments in the building are all rent stabilized. In February, the city reportedly named the building the borough’s worst building, due to violations that included peeling lead paint, mold and roaches. According to the most recent records on the Department of Buildings’ website, there are currently 12 open violations on the building, a dramatic decrease from the hundreds of open violations that were reported earlier in the year. The $25.7 million sale price works out to $290,000 per apartment or $295 per square foot. 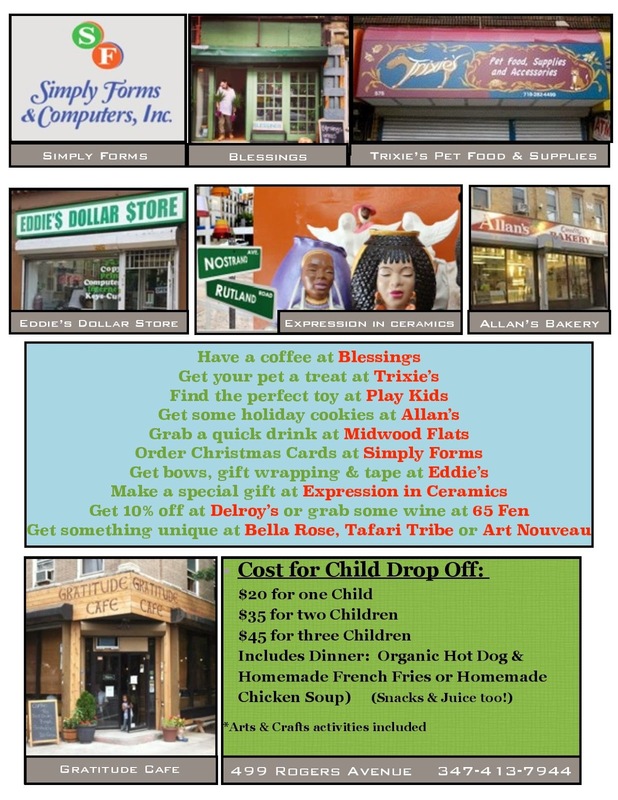 Lefferts Gardens South! A New Name Takes Flight! The Q Loves Martense! Follow it to Nostrand for the world's best Meat Market, Michael's! 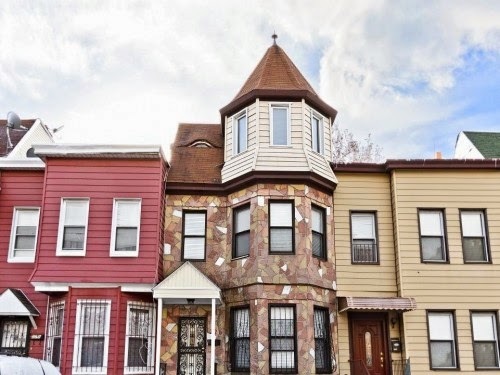 An eagle-eyed Q reader noted the below description of an unusual looking house on Martense described as residing in "Prospect Lefferts Gardens South." (note the lack of hyphen. might this be the defining mark of southern Leffertsonians?) 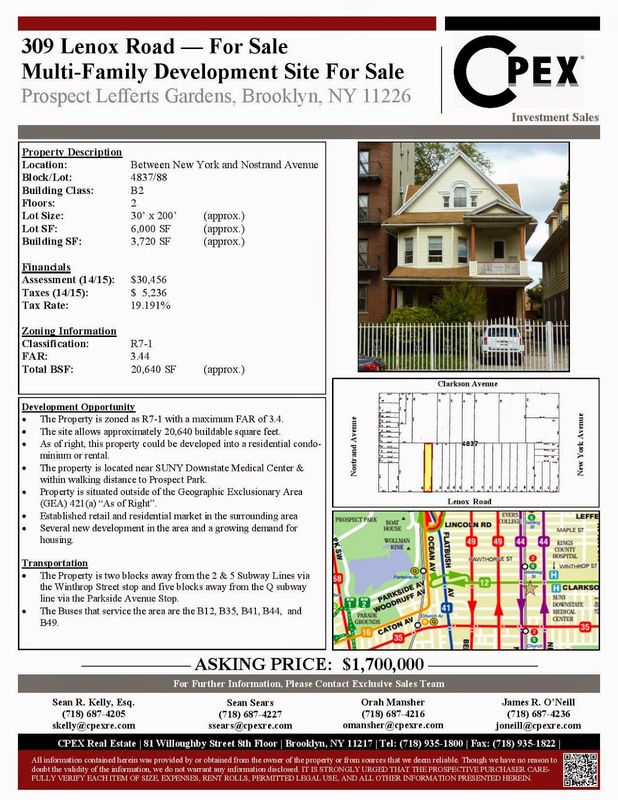 Other interesting tidbits: the listing clearly notes Lefferts newcomer Midwood Flats as being an attraction, Vero Yoga, and Planet Fitness, all of which are clearly part of Prospect-Lefferts Gardens NORTH. And where's the Mason-Dixon line do you suppose? Hawthorne? And the southern tier? Church? Erasmus Hall? Better vote now, or the real estate agents will make the call for us!!! Classic Victorian- Style, two family frame townhome in the premiere historical neighborhood of Prospect Lefferts Gardens South. This exclusive offering is uniquely suited to todays buyer who is looking to purchase a multi-family home in this prestigious location for a price well below the current record-breaking sales of over $1.5 million. Original details abound in this circa 1920s home with a dramatic entrance that shows off an ornate solid wood staircase. 10 ceilings, stunning wide plank oak floors, classic crown moldings, original wainscoting, and French doors dress the entire home. The main living area is anchored by an impressive exposed brick decorative fireplace and large bay windows. The entire residence includes custom fit window treatments, generous closet space, and solid wood floor to ceiling built-ins. An incredible bonus is a wrought iron and oak spiral staircase on the second floor that leads to a surprisingly large, fully finished attic space with a cathedral steeple ceiling, measuring 14 in height at its peak. Multiple windows adorn this space that was designed by a talented previous owner/architect. This magnificent bonus room that makes for a perfect home office or guest quarters, has a private door that leads to the roof where you can easily add a quaint roof deck for additional outdoor enjoyment. The property also provides the luxury of private parking for two cars on a deep 122-foot lot that still allows for a sizeable backyard and deck. Currently over 2,100 square feet of finished living space with the potential of a complete 2,400SF double duplex layout after finishing the basement. Located within blocks of Prospect Park, Midwood Flats gastro pub, Lincoln Tavern , Vero Yoga, Planet Fitness, and the 2,5, and Q trains. Luxury and value welcome you at the front door of 226 Martense St. Come on home. So you move to NYC. You've got barely a trunkfull of belongings. You drive from Lafayette, or Omaha, or Eugene 'cross the heartland. Your heart skips a beat when you see the Empire State Building, maybe even a bit of Lady Liberty. You've saved all summer to pay the first month and security deposit, prepared to steam espresso for your fellow 20-somethings while you plot your indie-rock takeover. Some fellow students from Vassar/Bard/Oberlin and that dude who used to sell you weed (did he even GO to the college?) are also planning to be there, and you can't wait to start up that Sustainable Rooftop Farm collective you designed for a senior class thesis. And meet a mate. Eventually. And have babies and move to Maplewood. But you don't know that part yet. You check out the NYC Craigslist. You scan for places under $1,000 a month (even better - $900!) You know it'll be a share, but that's cool. That's how you lived in the "commune" at Vassar/Bard/Oberlin anyway. Then you see it! You better pounce! And it's in Williamsburg to boot! Score! Victory! 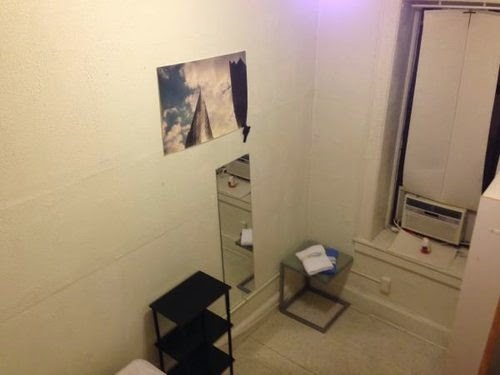 Perhaps the greatest thing about this place (a true Craigslist posting) is the way the poster has taken so many pictures and provided the full panoramic awesomeness of this under-100-sf room. Props to Curbed for finding it. Because L&G's, this is what it means to move to NYC to fulfill a dream. 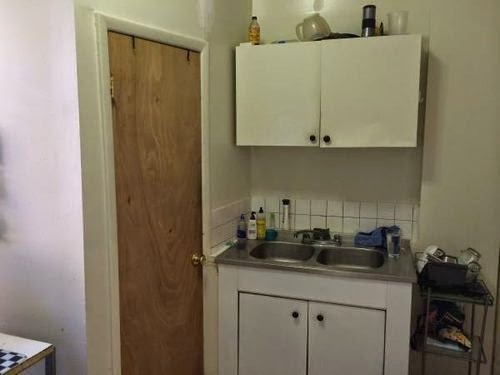 And it's almost identically sized (actually it's a bit more spacious) to the place the Q rented in South Park Slope when he fulfilled HIS midwestern NYC fantasy...at $300 in 1988. 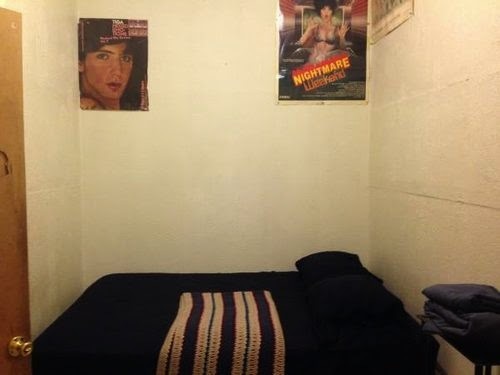 The posters come with the room! Bedspread not included. The first time the dishes have been done in this shared kitchen in months! Best part? You only have a trunkfull of belongings anyway. You've heard the Q extol the virtues of the Crown Heights Tenants Union and the Flatbush Tenants Coalition. 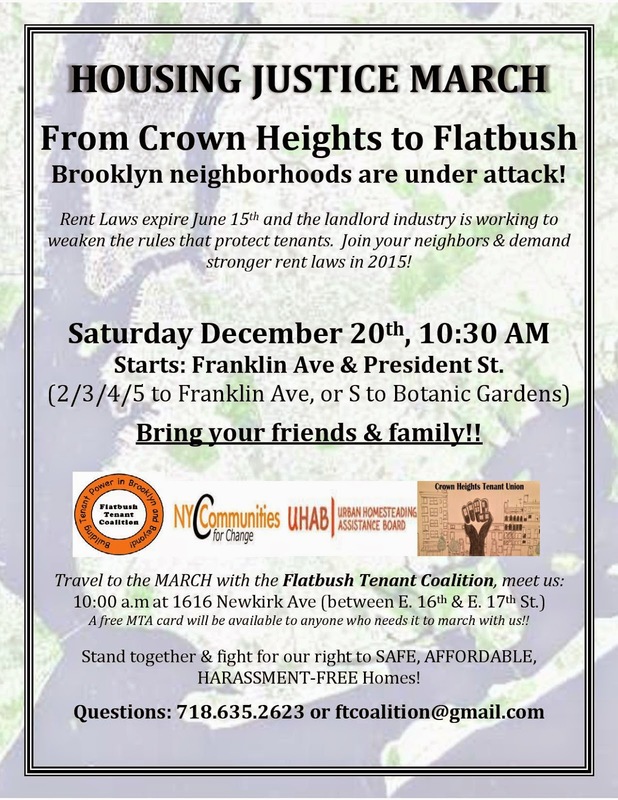 I urge you to support their march this Saturday in the lead-up to the showdown in June in Albany over rent regulation. Some big numbers on Saturday at 10:30 at Franklin and President, or along the route, will show the State we mean business. This is where the real war for our neighborhood's diversity of income gets fought. Wherever you are in your life and finances, please support those whose very homes are at stake. The MTA is taking applications for use of the space inside the train station at Prospect Park, where the Maple Street nursery school now resides and has for a decade. In order to let them know that we prefer to keep them there rather than cede to, say, the world's smallest Applebee's, please sign the below. No money, no hassle. Just a simple e-signing and you're off to experience more free-floating anxiety about the holidays! Thanks to every Q reader who gave to the Kwenci Jones mural project. He hit his $4,000 total goal, and can now protect the mural with a fancy high tech coating and we'll be able to enjoy it for years to come. While I hate to burst the holiday vibe, it would be remiss of me not to note to major crimes in the area. Last week, an armed robbery occurred at 618 Flatbush, which I believe is the Rochdale Pharmacy (or the salon next door, 618A). Police are considering it possibly connected to the rash of armed robberies in the Flatbush area over the last month. Scary stuff. Everybody on the ground, give us your money. Right out of the movies. Then yesterday, a dispute turned violent on Rogers and Winthrop. The shooting is being investigated, and being called "gang-related," which the Q has learned means pretty much next to nothing, since almost any dispute between two black guys gets called that. Not being snarky; just something I've learned through the years of blogging. The insinuation is "don't worry, they weren't out to get YOU, just each other." The buying and selling rampage continues. This time, an old wood-frame house, in pretty good condition, will make a nice tall something-or-other. A finger building. Middle finger, that is. Take a look at the zoning - R7-1. That's the zoning that made 626 Flatbush possible. Granted the below is not technically in Lefferts, but it's a good indication of the crunch of the building boom that's finally reached us. While the Community Board is busy arguing over process and how to deal with Ms. Boyd, the developers are laughing all the way to the bank. Good or bad or indifferent, them's the facts Jax. Take a look to your left, and the right. All the wood-frame houses are just winter's kindling. This one lot can have more than 20,000 buildable square feet. That's pretty swell at today's rents for a cool $1.7 million. What this event is, is a different type of theater event. It is created using interviews from a variety of people in the neighborhood, to get impressions of the neighborhood and its changes from people who have been here for many years, as well as people who have just moved in. The interviews (all anonymous) are performed lived by actors, some will be a composite of several interviews that perhaps touched on the same issues and some will be pretty close to how we got them. 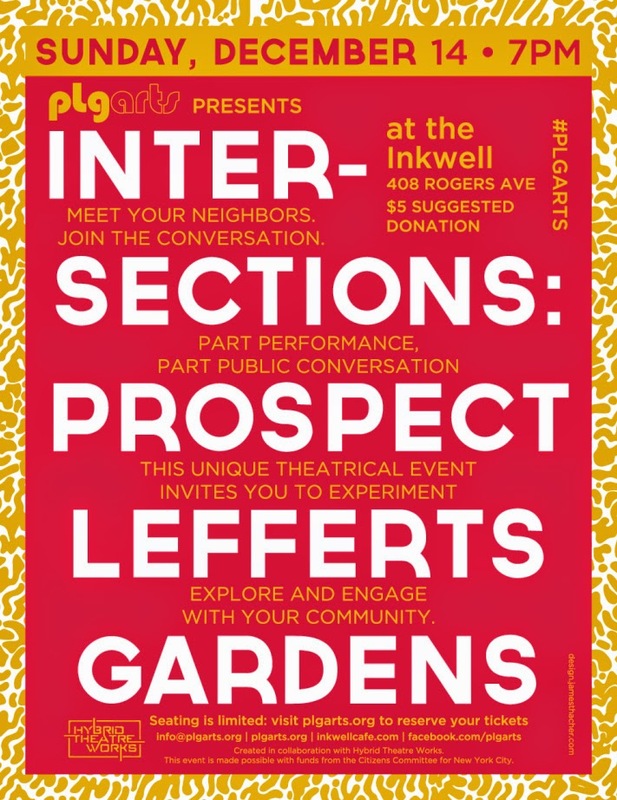 The hope is to represent multiple perspectives in the room and to not push an agenda or take a side, but to create a space where people can meet and speak to each other, hear what's on the minds of their neighbors, and to invite the audience to share their perspectives. The event will be performative and will invite the audience to participate, but not in a "come up on stage" kind of way - rather in a way that will feature structure. Have a drink, immerse yourself in your neighborhood. Get out of the house at an early hour. What could be better? 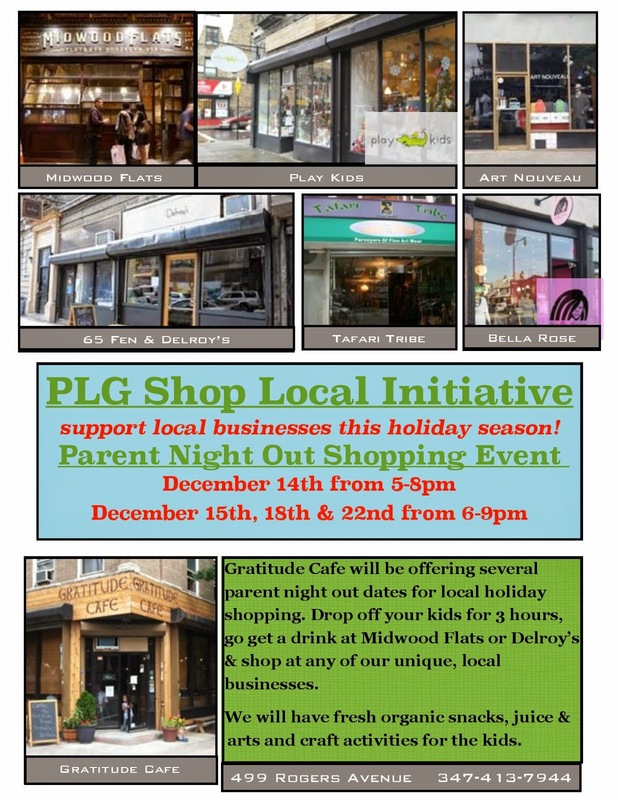 Not only can you shop local, you can get deep discounts and assorted goodies. Hot chocolate? Tea? 50% off fabric? 20% off lingerie? Come to think of it, if you take 20% off lingerie, you're pretty much naked. Before you fall into a shame spiral on the eve of Dec. 24 while shopping at the Barnes & Noble in whatever town you're in for Christmas because you were too lazy to walk a couple blocks from your house and pick out something unique (wait, am I writing that to you or to me? ), why not get your flatboosh out the door and up the block to the first ever Shop Local campaign on our very own Main Street. And while Thornton Wilder probably didn't have the Flabenue in mind while conjuring Grover's Corners, it is, after all, Our Town. The following phun thangs are happening, like note the trolley going from Nostrand and back, I kid you not. 11am Mom & Baby Yoga. All Ages & Skill Levels welcome, $10/adult. email rainabaina@gmail.com to RSVP. 12pm Author, Melanie Hope Greenberg will be here to read her book "Mermaids on Parade". Autographed books will be for sale. 1:30pm - 3:30pm Paper Wreath Making with Danielle from Brooklyn Doodles. FREE. All Ages. C'mon Y'all! Show A Little Love For Kwenci! It's really not a lot of dough. 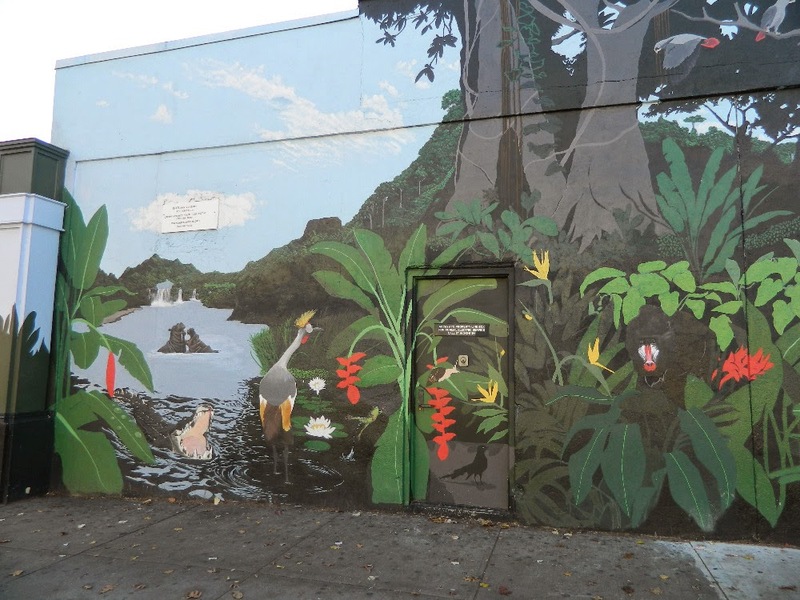 Barely more than $2,000, and Kwenci Jones can complete and protect the beautiful jungle mural at the Q/B/S Prospect Park station on Flatbush. Kwenci came before the Community Board last night and asked if there was something wrong with the mural that people don't want to give. It broke my heart, because pretty much every kid in the neighborhood loves this mural. Heck I love it. Do any of you remember what an ugly disaster that wall was before his work? This thing is iconic! In the spirit of the season, please consider a gift of any size. It'll mean a lot to this artist, a former Marine who has dedicated much of his life to guiding young folks in the right direction, in collaboration with Richard Greene from the Crown Heights Youth Collective. Thx in advance for giving! Chairman Dwayne Nicholson put on his fighting gloves tonight! There he was screaming at us all to behave...or else! 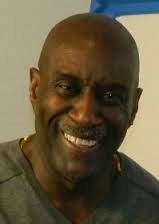 Then out of nowhere, once again, it's Fred Baptiste, stage left, bounding to the podium to move that the Q's motion be disallowed! The officials huddled, and the Q pleaded, but to no avail. The forces that would prefer to wait til 2015 to decide whether to move forward won out. Citing "process," a dubious consideration given that no action has taken place in months, the Board decided it would prefer to deliberate in committee, where, I'm quite certain, it will come to basically the same resolution it could have debated and voted on tonight. Folks...it's even going to be the SAME people at the committee meeting! Us!!! What are you waiting for? Sheesh. But let's be clear. The Q is not particularly well liked by the Board. And tonight I was even threatened publicly with removal for even daring to question the wisdom of the Chair by presenting a motion at all. Apparently I'll be called before a tribunal and they, with the Borough President, will remove me. Come and get me ye rascals! It's crazy y'all. Were any of you involved in student government? It's kind of like that. But rather than soap in the dispensers and when to hold the Prom we're discussing issues of substance, like what our neighborhood will look like as the entire borough goes through the greatest upheaval since the era of Robert Moses. But I'm not a sore loser. I actually quite like that the Chair said on record that he would hold both a training and a ULURP meeting in January. I'll believe it when I see it. Hey even Ben Edwards (where you been all these months Ben?) claimed he'll hold the meeting in January. Not like anyone's gonna be watching to keep y'all honest, winky wink. Score yet another victory for the spoilsports MTOPP. They've really done a number on everyone. Mike over at Brooklynian sent me the following advert, showing how you can buy up two modest houses and turn them into a slender Rapunzel building. And it's why we need to move quickly to help stem the madness. It might already be too late to change R7-1 areas in time, but hey, you gotta try, right? Since the Chair of CB9 is unwilling to call a committee meeting to discuss the (now) rescinded resolution to City Planning, I took another look at it and realized that with a few tweaks it should be good to go. It's not a legally binding document, nor is it the end of the process. As I've said all along, it's big ol' red herring, or rather albatross hanging around our necks. To take it back to committee is an insult to the good work that was done to get it overwhelmingly passed at last year's CB9 mtg in March. Now that the new members of the Board have been able to digest what it's about, they should not hesitate to support it. We shall see! Why present it as a motion? Because every Board member will (or rather should) be there, and we can hash it out right there. If people have a problem with it, they can let me know and I'll consider a friendly amendment. Anything reasonable will be accepted. Specific demands about specific blocks or zoning categories will not - this document is best left open. Committee meetings tend to have severely lower attendance, and an issue this important should be considered with as many folks as possible. Thus, the motion. That's my story. I'm sticking to it. MTOPP is once again planning on being a disruptive force. Alicia's asked her supporters to speak at the meeting, but the rule is that you can only speak to an agenda item in the public session. The agenda items aren't on zoning. The motion I'll present will happen in the business session, which the public may attend, but speaking on the floor is limited to CB9 members. Has MTOPP Decided To Play Ball?